Believe it or not, ‘leadership’ is one of the most misinterpreted and misunderstood terms of the recent times. If someone asks you to define leadership, you might also be inclined to associate it with politics or winning elections because nowadays politicians are considered leaders. If you equate leadership with politics or elections, sorry to say, you too have misunderstood leadership. Leadership is not about winning an election by means of delivering impressive speeches or by showing rosy pictures of the future to the masses. Most of the politicians make big promises before elections but once they win the elections, they forget all about the promises they had made to the people. Most of them even avoid talking to the people for the next five years. It is nothing but an instance of treachery and deception. The question- “What is leadership?” has still remained unanswered. Leadership is an abstract idea or rather a temperamental characteristic which makes a person a role model for others. It is one of the most sought-after qualities or virtues a man possesses in his character. It is about doing something which inspires the future generation to make great strides towards prosperity, development and progress. It also goes without saying that humanity at present is in dire need of genuine or true leaders who dedicate their lives to some noble cause and become an example for others to follow. Yes! You have rightly understood that leadership is all about bringing about a positive change in society by doing something that motivates others to do the same. A true leader is thus one who moulds and shapes the thinking and attitude of a group of people or a complete generation or even the coming generations by showing them the right direction. It must be a glaring mistake on your part if you view some popular politician as a great leader. It is not that a politician cannot be a leader. A politician can be a great leader too if he devotes his life to the welfare of mankind by casting aside his own interests and career. You must keep it in mind that only a politician cannot be a leader. Anyone involved in any profession or work can be a leader if he has the potential and mental acumen to channelize the energy and mindset of people in the positive direction. Even a kid who does something extraordinary to inspire others too deserves to be called a leader. You must have understood now that a true leader is one who inspires a generation or future generations into doing something noble or extraordinary. The best example of a true leader is that of the father of nation Mahatma Gandhi Ji who motivated the people of his times and subsequent generations into fighting against injustice and suppression by means of non-violent ways. Nobody can deny the fact that truth and non-violence earned India freedom. Opposing violence in a non-violent way seemed at that time the most absurd idea to people all over the world. The success of non-violence established Gandhi Ji’s reputation as the greatest leader India has produced so far. 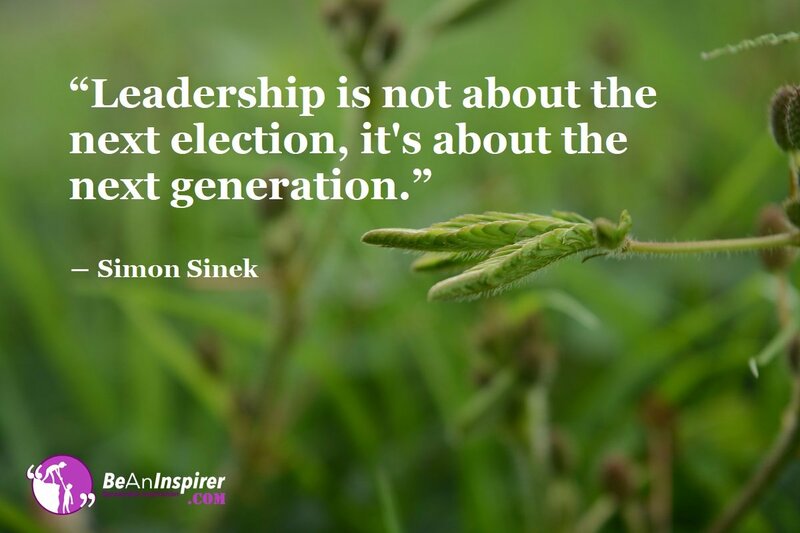 Don’t you think that we must produce great leaders to show the right path to the future generations? It is not a farfetched idea as we must inculcate moral and ethical values among our children who are going to be the leaders of tomorrow. If we instill virtues and values in them, they will surely be the leaders of tomorrow. The onus is on us now to prepare them for future. If we upbring the future generation rightly, there will be no dearth of true leaders in future who will safeguard the interests of mankind in general and our country in particular.